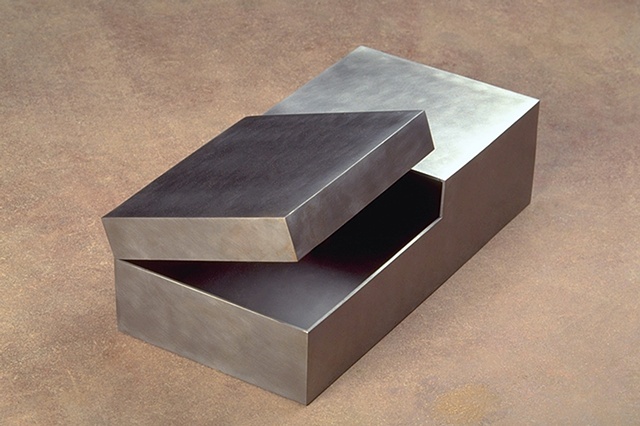 I designed and built a series of hinged boxes to explore the personality of common steel'. The rigidity of thin plate allows for extreme wall thinness across large expanses. Integrated custom hinges permit seamless bendability anywhere upon the surface, allowing openings to be situated freely. All welding is cold (stitched slowly in small increments at low temperatures) to eliminate heat warp. Structural welds are ground away and the entire body is polished to a satin finish.